Our goal is to take the time with each customer and get to know you. This is the only way to truly provide you with a bike that really suits your personality—after all, your bike should be an extension of you. As you can see in our gallery, the bikes vary in look and style. Hopefully, that's indication that we should be able to accommodate your needs—whether it's 21st century cutting edge, vintage fifties, or somewhere in between. 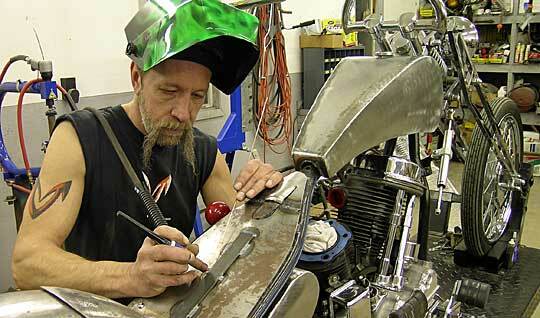 Our fenders and tank kits are top quality American-made parts geared towards the home builder. We also offer handmade one-off parts for the person who has unique needs.